I caved and went to the evil blue and yellow home goods giant. 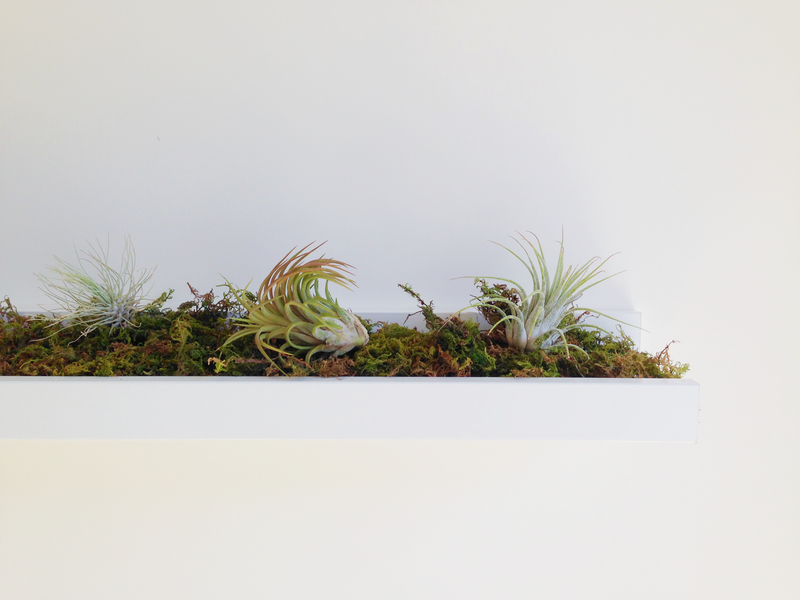 You see, I’m on this air plant/tillandsia kick and I can’t stop coming up with ways to display these little suckers (that won’t kill them this time). First of all, majorly cool that Faddis Design is a “philanthropy advocate and artisan goods producer.” However, the shelf in the picture costs $120 and is sold out. Bummer. So I found myself wandering the weekend crowd clad aisles of IKEA in search of a similar alternative. I looked in their wall shelving department but didn’t see much. The shelves were either too wide or had to be mounted in a major-wall-destruction fashion that would cause the hubs to have serious twitching episodes. 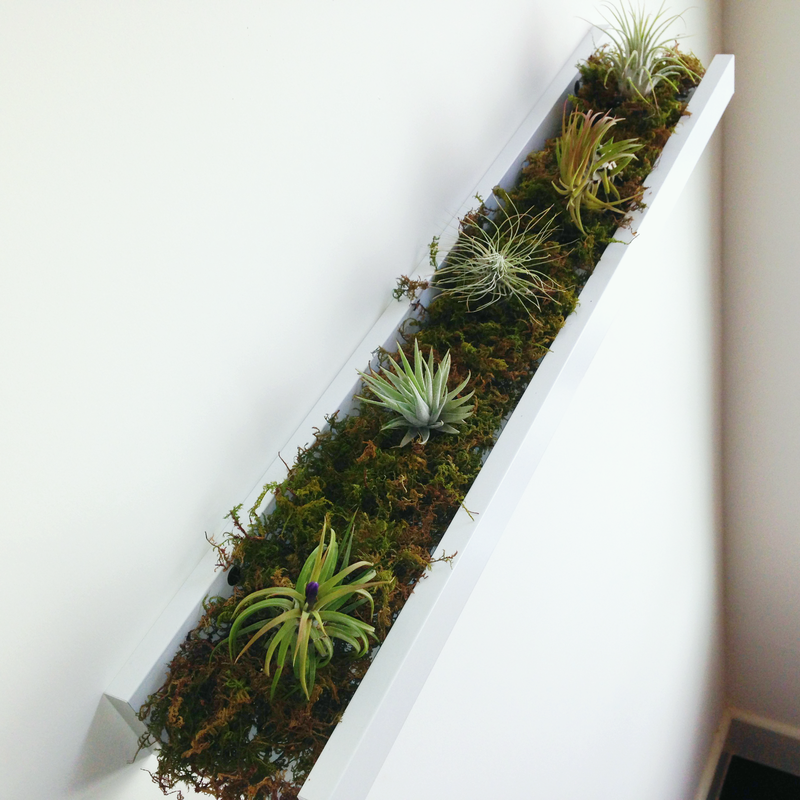 Just when I thought IKEA had failed me, the Ribba picture ledge appeared like an oasis in my Swedish desert. It’s ridiculously easy to install, my friends. 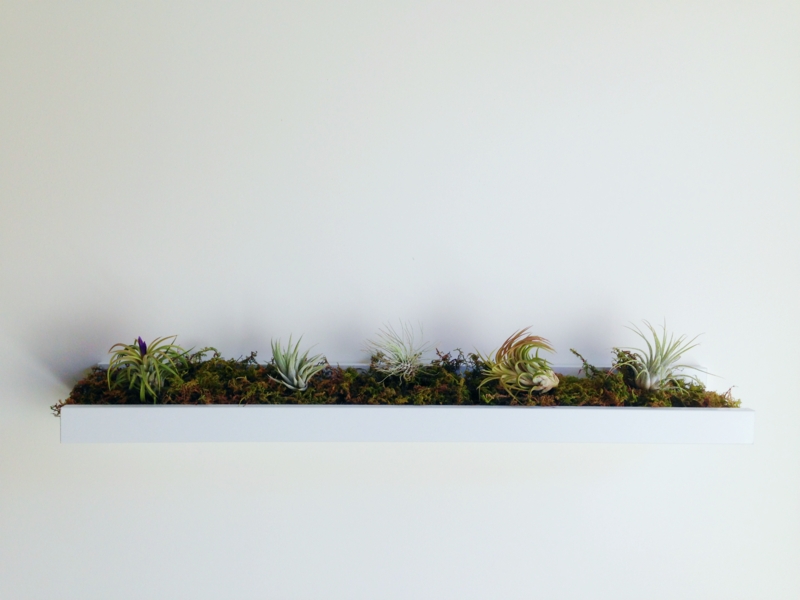 Just find your studs (and I’m not referring to Ryan Gosling- meow), drill 2 screws, add some moss (I picked up a bag for $3 at Lowes), and arrange your air plants on top. DONE! 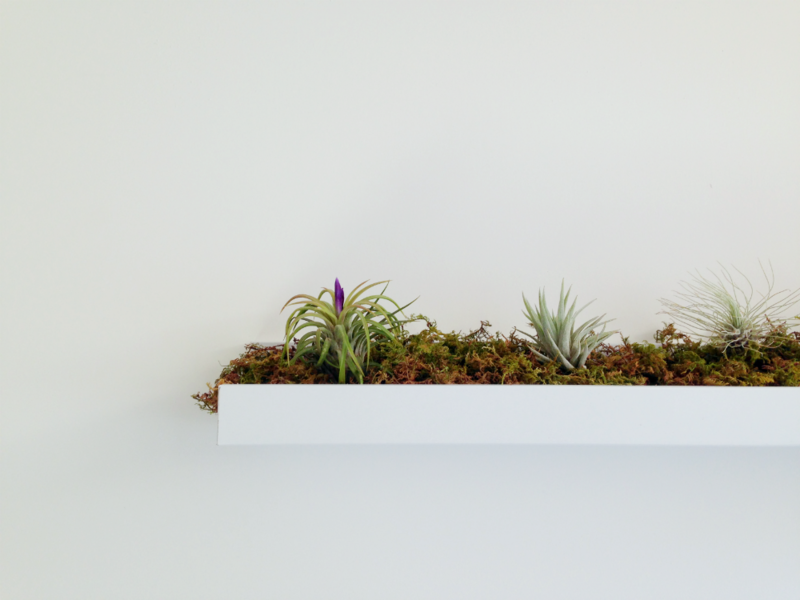 Love is in the air plant (and apparently, at IKEA). This is super cute! Thanks for the idea. 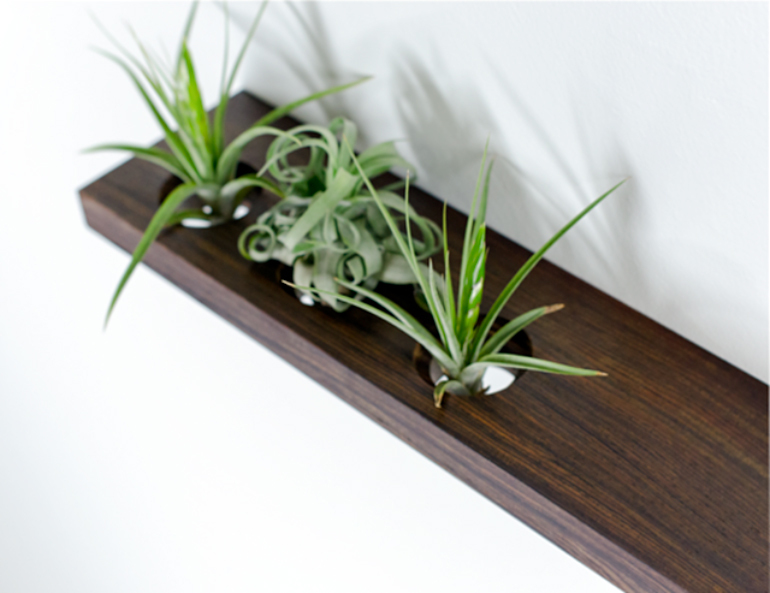 I have been looking for a cool shelf to display air plants on myself. 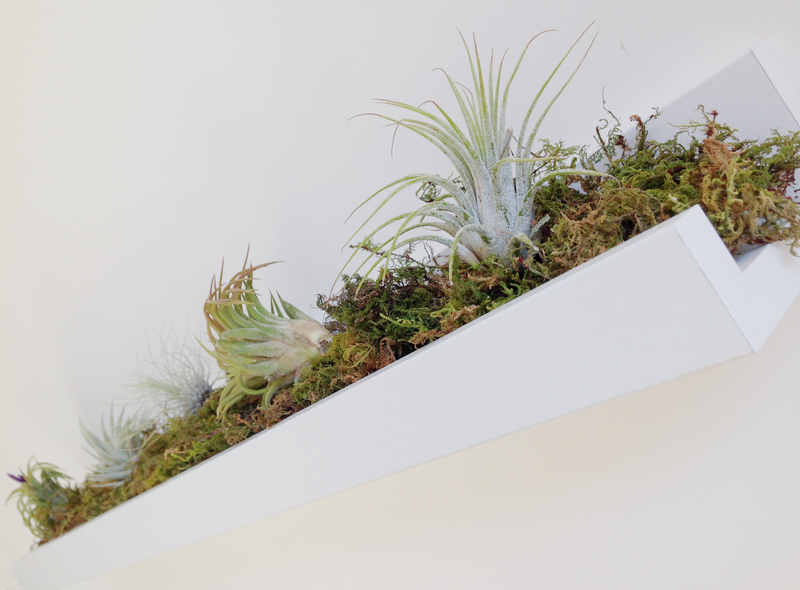 If you do need more air plants or air plant accessories like colored reindeer moss, check out my online store called http://www.airplantworlds.com. Thank you! You have a gorgeous online store. I want everything!!! Ruh roh…. You are hilarious! I love your writing. Woke up this morning and wanted to read your other posts first thing! Soopah stuff!